MyPaperHeart and Hey Tommy offer whimsical one of a kind mixed media and limited edition pieces from Julie Haymaker Thompson. 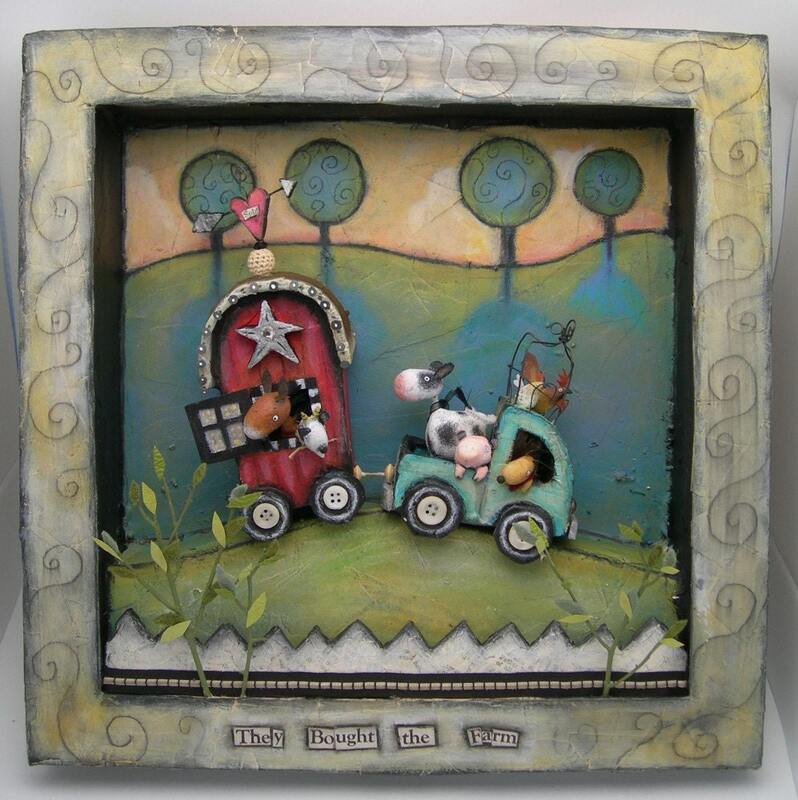 Her specialty shadow boxes with whimsical paper clay characters are delightful! She sat down with us recently for the next installment of our ongoing interview series. Mom and Dad really encouraged all in the arts and crafts. So it was off to college and a career in illustration . But my all time love was for arts and crafts, as it offers the most versatility in mediums. Spending time with my sister. My family keeps getting smaller. She is everything to me!!! Keeping it updated with work and info. Any of the one-of-a-kind pieces. I came out of the womb as an artist and that is all I ever knew I could be. Ceramics , fibers arts and illustration most of all. The precious gift of seeing the next moment. In addition to her work as a maker of art, she also loves to teach. She offers workshops in New Mexico and Arizona and is also working on putting up on-line classes and mail order classes with all inclusive kits (with how-to CDs). Check out her personal website for more information!